On behalf of the Michigan Region of the Rabbinical Assembly, I am writing to voice our support for Tamarack Camps and its dedication to kashrut for its camps. 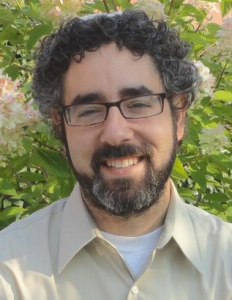 As executive director, Jonah Geller has worked energetically during his tenure to maintain the kashrut of Tamarack and to enhance the Judaic spirit of camp. We believe that the recent hiring of Rabbi Jason Miller as Rav HaMakhshir for camp is an expression for the camp’s dedication to kashrut for Camp Tamarack. Rabbi Miller’s experience and dedication to the laws and standards of kashrut will ensure that the high standards of kashrut that have been present at the camp in the past will continue. Rabbi Miller’s past experience as a mashgiah at the Jewish Theological Seminary and his planned study with Rabbi Joel Roth give Rabbi Miller the proper background for this work. We are pleased that Rabbi Miller also plans to take part in the Rav HaMakhshir program of the Rabbinical Assembly to increase his knowledge and skills in regard to serving in this position. Tamarack has made a positive and important statement about its dedication to kashrut in its hiring of Rabbi Miller. We wish Tamarack Camps much success in its continued mission of providing Jewish camping opportunities to the children and families of greater Detroit. The Michigan Region of the Rabbinical Assembly looks forward to working with Tamarack Camps for many years to come.